Delighted to relaunch my online shop with loads of new products. Chunky mugs with illustrations of Highland wildlife and pine prints of beautiful landmarks in the Cairngorms National Park – they’re all here to buy. And to tempt you even further – free postage and packing! Stock is limited so order today to ensure delivery in time for Christmas. Categories: Craft, Products, Shopping | Tags: Cairngorms National Park, Christmas, chunky mugs, Highland landscape, Highland wildlife, Loch Morlich, pine prints, red squirrel, shop | Permalink. Here’s a couple of new colourful pictures I’ve just completed. One’s a different view of Avielochan and the other is Loch Vaa, where I’ve spent many a day trying to catch trout in past years. They’re both now on sale at High St Merchants in Grantown. There are also some new pine prints on the way. Will let you know when they arrive. 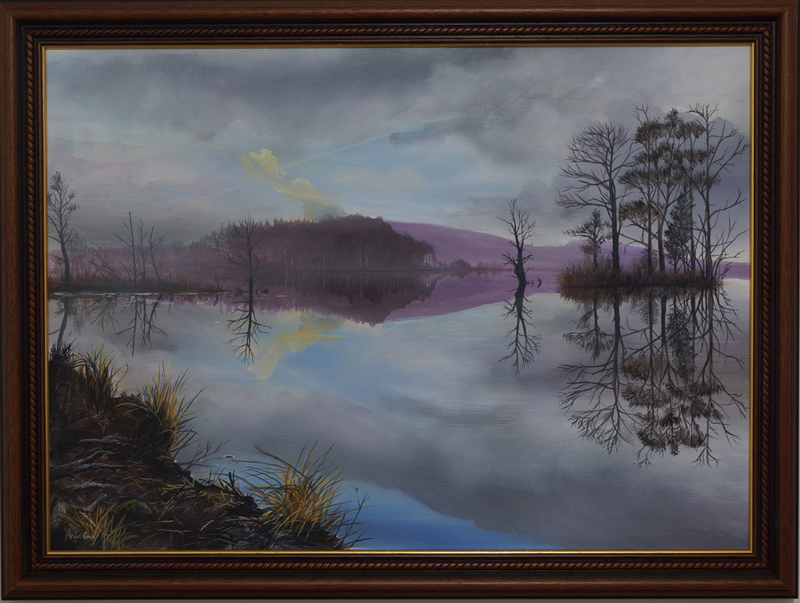 Otherwise, I’m working away on new pictures just now – new simple landscapes and fishy portraits. Will post some pictures when they’re done. 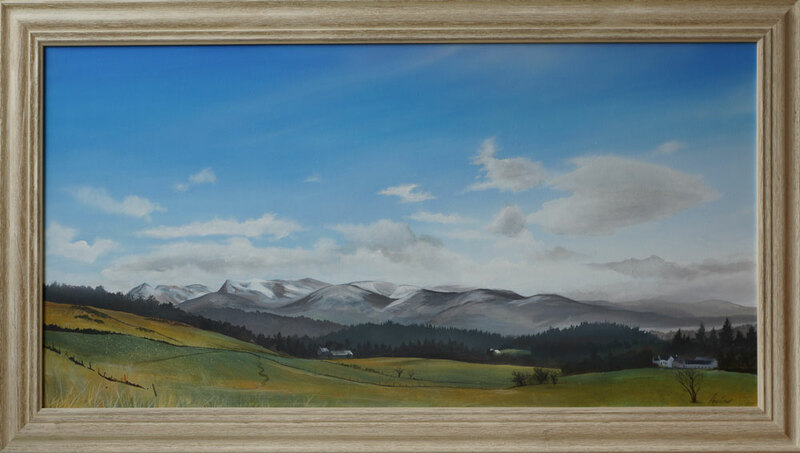 Categories: Painting, Products | Tags: Avielochan, Cairngorms National Park, fishing, Grantown, High St Merchants, Highland landscape, Landscape painting, Loch Vaa, pine prints, railway posters | Permalink. 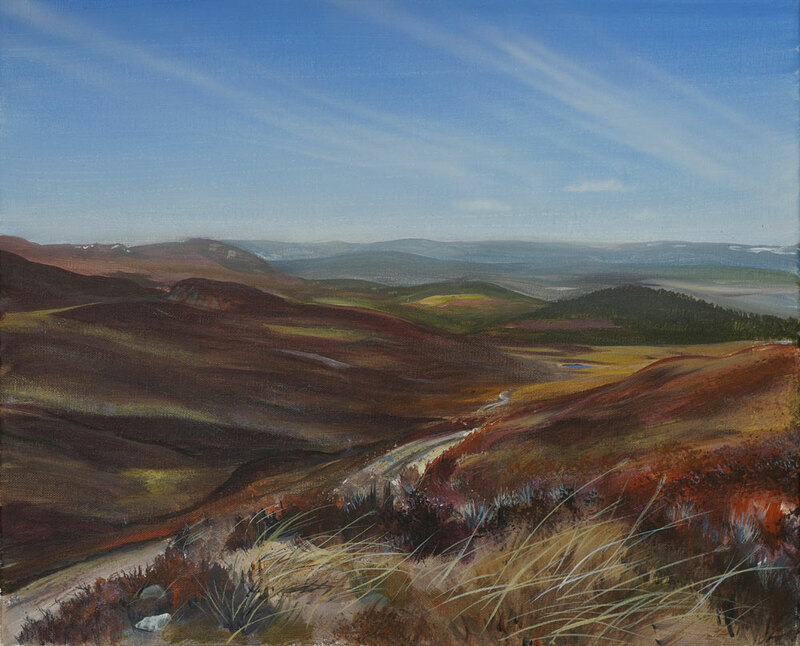 Categories: Painting | Tags: Cairngorms, Highland landscape, Landscape painting | Permalink. 1 – Walking through Abernethy forest you catch wee glimpses of the hills through the trees. 2 – After crossing the river Nethy you begin to go uphill a bit and should be able to see Rynettin farm through the trees. 3 – As you continue round Cairn a’ Chnuic the trees open up a bit and you should get some stunning views of the hills. 4 – When you get to Loch a’ Chnuic, there are far fewer trees but some stunning views across the loch. 5 – Continuing along the track, the landscape becomes much more open and wild. 6 – On the way back you can see very old dead trees, preserved by peat. 7 – This one has a branch that looks just like a deer’s antler. 8 – If you’ve gone all the way up the big track to the end, it will take you until the early evening to get back. 9 – You’ll get some lovely pictures of the farm as you walk past it on your way home. 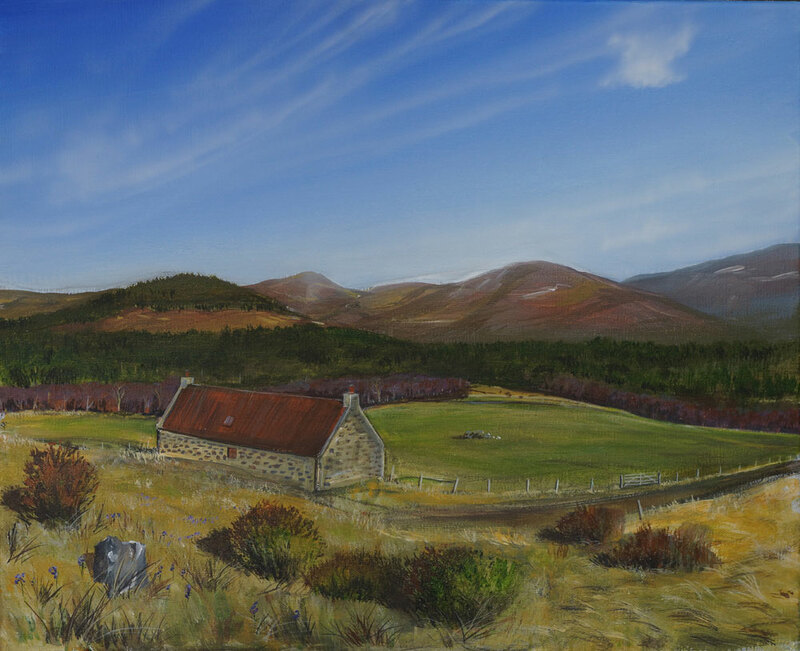 Categories: Painting | Tags: Highland landscape, Landscape painting, painted walks, Rynettin | Permalink. The sun just rising on a cold morning in spring. 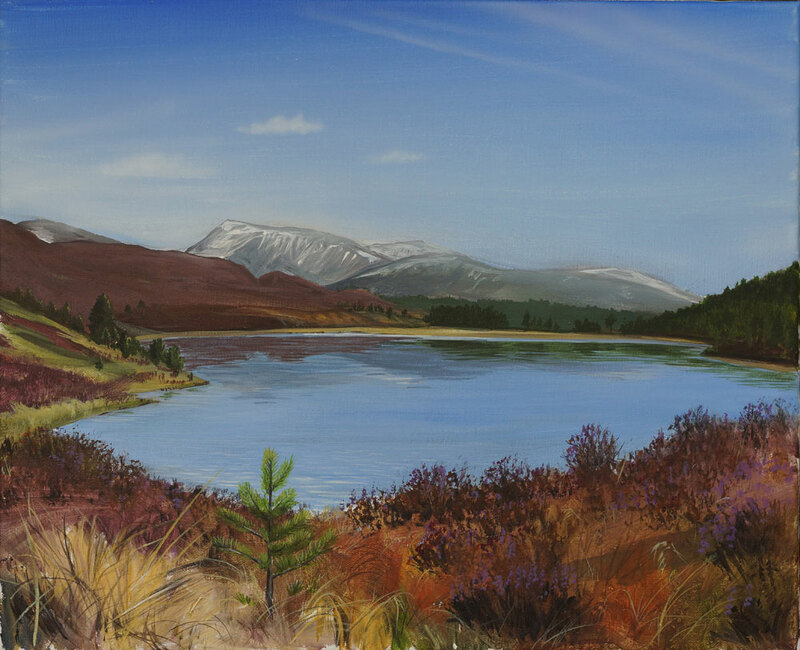 Categories: Painting | Tags: Highland landscape, Landscape painting, Loch Garten | Permalink. 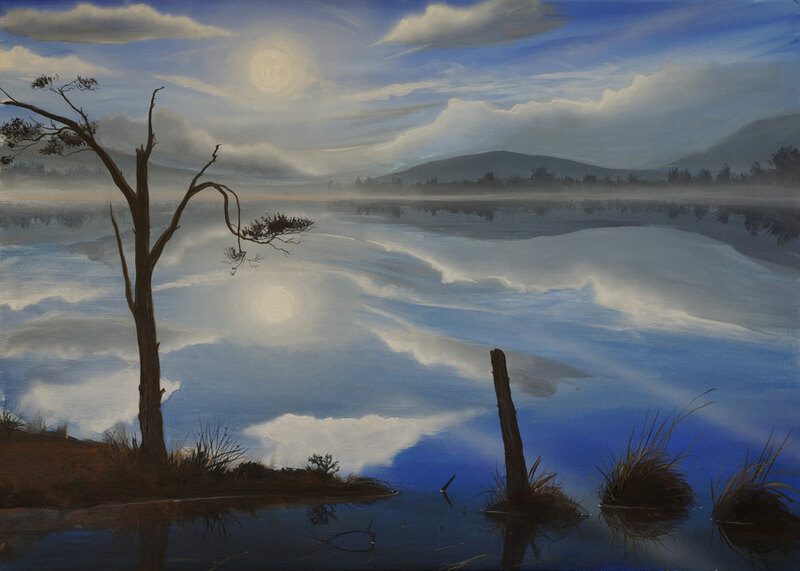 Categories: Painting | Tags: Highland landscape, Landscape painting, Loch Mallachie | Permalink.